So let’s clear one thing up first mamas: your baby can’t be exactly allergic to your milk. Your milk is made especially for them! However, there are things within your milk or things about a baby’s health that can cause “allergies” or issues with their ability to happily digest your milk. 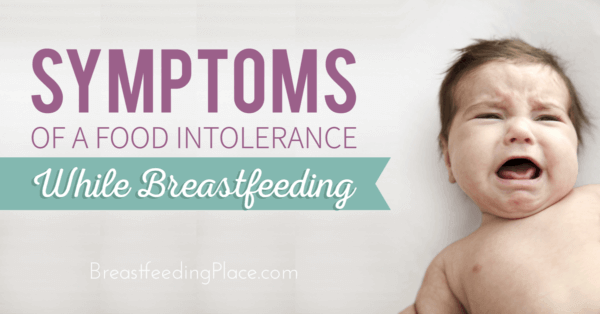 Symptoms of a food intolerance while breastfeeding can be tricky to judge because these symptoms can also be symptoms of other issues. 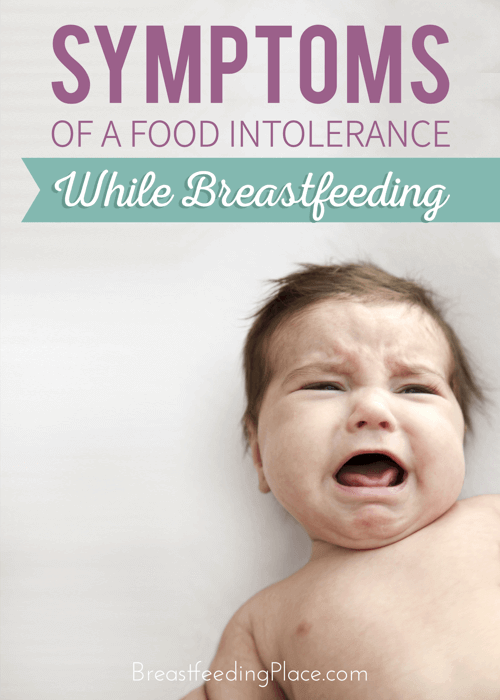 A food intolerance that your baby may have is simply fixed by dietary changes on your part. However, this can be frustrating and exhausting at times. Solving the mystery: food intolerance or something else? Quite frequently, mothers may study baby’s poop just a tad (gross I know). It’s just that a baby’s poop can tell us a lot about baby’s health and sometimes we may notice things that seem a little off. From color, to texture, and even speckles of blood, there are numerous ways that a baby’s poop can signal something may be up. In addition to using poop as a health indicator (ha! ), we can also tell when something may be up based on our baby’s behavior. However, this is where things get so confusing! 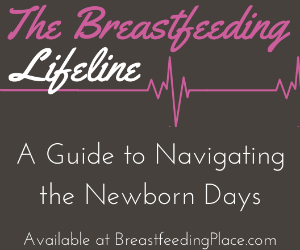 Not every baby is happy 24/7 and babies do typically have problems with gas, colic, and other little tummy troubles that they are unfortunately unable to tell us about. And sometimes, (well, A LOT of the time) babies cry to signal a need and that need is simply the comfort of mother. But what do you do when you have tried everything and your baby just doesn’t seem to be right? Your mommy intuition tells you something is wrong, you suspect some tummy aches, you even notice some changes in poop these days, and nothing seems to soothe baby. What do you do? One of the first and most common assumptions that I see mothers turn to is a possible food allergy that their baby is getting from mom’s milk–a dairy allergy or milk protein allergy in particular. Is it wise to jump to the “your baby has a dairy allergy” assumption so soon? Sometimes yes! As it turns out, only a very small percentage (less than 5%) of babies actually have a dairy allergy, or “cow’s milk protein allergy.” Mothers frequently change their diets and live off of veggies and meat simply because they are desperate for a solution. I know this because I was one of them. And did my child have a dairy allergy? Well, after months of research and eating like a bird, I came to the conclusion that she did not. Her symptoms never lined up with the common symptoms of a food intolerance while breastfeeding. Finally, it turned out to be another issue (although a suspected nut allergy was the case at one point, and still is). But that’s just me. Even though a small percentage of babies really have dairy allergies or other food allergies to substances in your milk (nuts, tomato, corn, etc. ), it is possible. Sometimes I think of it as a “current intolerance” rather than a full-blown allergy. Below are some ways to decide if your baby may be suffering from an allergy to something you’re eating. 1. Inconsolable fussiness, tummy aches, and discomfort. When you’ve ruled out gas, reflux, colic, etc. 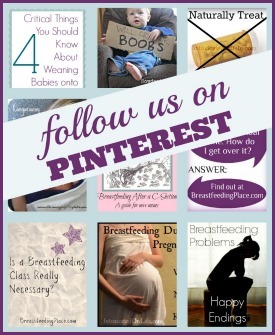 and you know your mommy instinct says something may not be right, look at the signs below. 2. Skin rashes such as eczema. Eczema and several other dermatitis issues are frequently linked to food intolerance while breastfeeding. This one is hard to really judge, as all babies sleep differently and are not really expected to sleep all night. However, sometimes we can tell when a baby is waking up out of pain and discomfort rather than for security or hunger. Green, frothy poop is a warning sign of a food allergy but can also be from a couple of other things. First off, green poop that occurs occasionally with little to no fussiness is likely just the result of something you ate that was passed through the milk (like spinach). Additionally, a hindmilk/foremilk imbalance can lead to green, frothy poop (this was our problem). 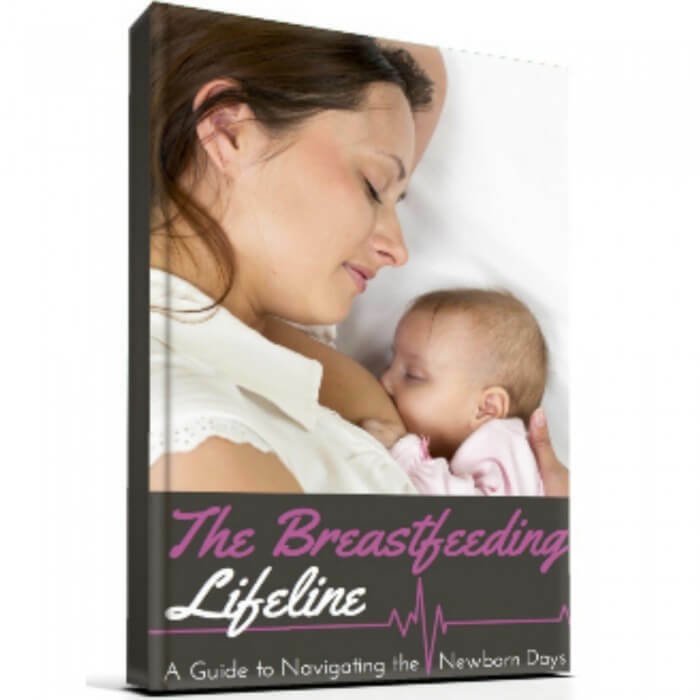 Examine your pumpings and see if you’re just pumping out watery foremilk – if so, then there’s a chance baby isn’t getting enough hindmilk and this is leading to the poop issues. 5. Blood or mucus in poop. This is a common sign that accompanies a colon that has been irritated by a food allergy and is having trouble digesting. Don’t freak out over the bits of blood, but start paying attention and seeing if you are able to relate other signs to a possible allergy problem. This is another tricky symptom, as spit up can be a sign of reflux. However, sometimes it is an issue with a food intolerance. With guidance from a pediatrician and some research, you may be able to pinpoint if it is reflux or a food allergy. Always use your motherly instincts when it comes to your child and always seek guidance from a pediatrician and/or lactation consultant if you suspect that something may be wrong with your baby in terms of an allergy, reflux, colic, etc. While there is always a possibility that your baby is having a hard time with something you are eating and passing to them, there can also be other causes. And don’t forget that a baby who cries is a normal baby and that sometimes they just need us. If, however, you do face symptoms of a food intolerance while breastfeeding that require dietary changes on your part or reflux that requires different approaches to cure, keep positive and know that you’ll make it. Mommy’s milk is a beautiful gift and all of the sacrifices are worth it!